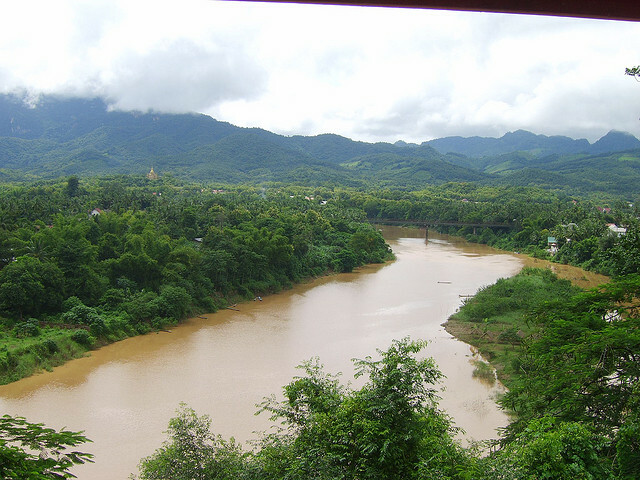 The Lao government and the Finnish company Poyry it hired to oversee construction of Xayaburi claim that dam will provide clean energy to three million people in Thailand and one million in Lao PDR. The MRC claims dams on the Lower Mekong mainstream have the potential to reduce the severity of floods and droughts, and thatbuilding all 12 would generate $15 billion in economic activity, create 400,000 jobs, and reduce greenhouse gas emissions by 50 Mtons CO2/yr by 2030. A study commissioned by the MRC, and completed by the International Centre for Environmental Management (ICEM) in 2010, concluded that the 12 dams could meet 8 percent of the region’s energy needs by 2025. Fawthrop’s film does not address how concerned Westerners can respond. The answer certainly feels fraught, given Laos’ historical experience of French colonialism and U.S. military aggression, including the unexploded ordinance that still affects the country. Then there’s the region’s very real need for clean energy as well as the standard argument about the hypocrisy of industrialized nations telling any country to sacrifice growth for environmental protection. Nathaniel Eisen is a freelance author interested in the intersections of trade, human rights, security policy, and the environment. Information about the documentary Great Gamble on the Mekong can be found at www.tomfawthropmedia.com. Copies of the DVD can be ordered from eurekacuba@gmail.com. This article first appeared on FPIF.org. Click here to go to the original.